» Wohin, wohin sied ihr entschwunden? » no.18 Scene dansante (invitation au trepak), "Trepak"
» no.3 Why did I dream of you? » no.7 Was I not a blade of Grass? 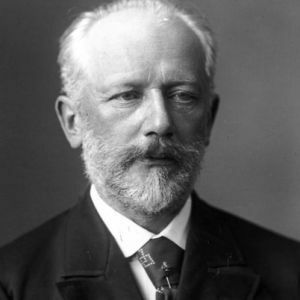 Pyotr Ilyich Tchaikovsky (7 May 1840 � 6 November 1893), was a Russian composer whose works included symphonies, concertos, operas, ballets, chamber music, and a choral setting of the Russian Orthodox Divine Liturgy. Some of these are among the most popular theatrical music in the classical repertoire. He was the first Russian composer whose music made a lasting impression internationally, which he bolstered with appearances as a guest conductor later in his career in Europe and the United States. One of these appearances was at the inaugural concert of Carnegie Hall in New York City in 1891. Tchaikovsky was honored in 1884 by Emperor Alexander III, and awarded a lifetime pension in the late 1880s. Tchaikovsky - The Seasons, etc.